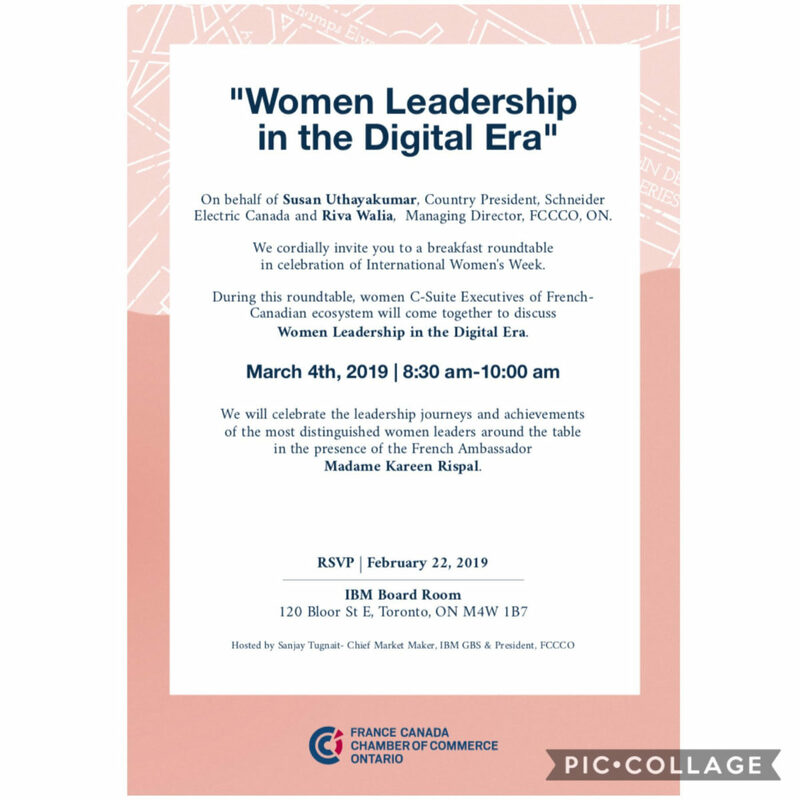 I participated in a round table with a group of c-suite executive women from the French-Canadian Ecosystem, on the topic of Women Leadership in the Digital Era! Sommeliers Choice Awards and Beverage Trade Network has recently announced their Top Wine Influencers list for 2019. The prestige judging panel includes 45 top U.S. sommeliers, wine buyers and wine directors. “This recognition makes me work harder to assist my clients and get them recognized globally.….I am also happy and proud of the work that UPSocial Wine and Spirits Agency is doing – assisting international wine and spirit brands in their communications, digital marketing strategies, and influencer marketing, while sustaining and increasing awareness” Liz Palmer, Founder of UPSocial Wine and Spirits Agency. Other global wine influencers on the list include: The Wine Wankers, Jancis Robinson, Julien Miquel, Jon Thorsen, Jessica Altieri, Kelly Mitchell, Jeff Kralik, Tim Atkin, Julie Brosterman, Jamie Goode, Luiz Alberto, Joey Casco, Alder Yarrow, Cathrine Todd, Michelle Williams, Marilena Barbera, Meg Maker, Dusan Jelic, and Katherine Cole. Liz Palmer is a Toronto / London UK based award-winning author, wine journalist, influencer, wine judge and founder of Upsocial Wine & Spirits Agency (a digital and influencer marketing agency). She has been recently named as one of 2019’s “Top 20” Social Media Power Influencers on wine and spirits. Liz is also ranked Top 1% Industry SSI – LinkedIn and was recently on a George Brown College Wine Symposium panel discussing Global Wine Communications and Trends. 2018 and 2019 she has partnered with the French Consul Toronto for wine and spirit events and marketing. Since 2017 she has a partnership with Cision/CNW Group. 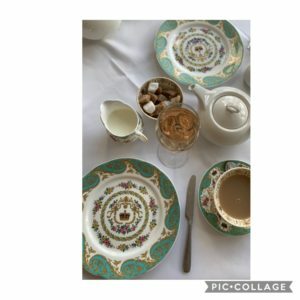 Liz Palmer is also the founding President of Les Dames Escoffier Ontario Chapter, and was also appointed Dame Chevalier de L’Ordre des Coteaux de Champagne in an official ceremony in Paris in 2017. Is a digital marketing agency based in Toronto, Canada, one of the world’s leading technology innovation hubs. 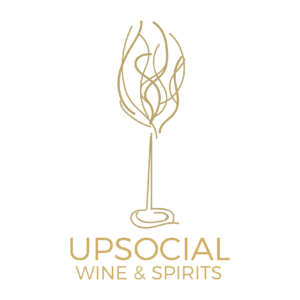 UPSocial Wine & Spirits Agency specializes in digital and influencer marketing for global wine and spirits brands. Their focus is on creating social media brand strategies, digital content marketing, and influencer relations, fueled by metrics and analytics to drive business results. They are completely dedicated to following innovative changes in the digital marketing world and take a proactive approach to furthering our clients’ campaigns. Liz Palmer is the founder and part of the strategy team. Beverage Trade Network hosts and organizes competitions, events, trade show, expos and tastings for the alcohol beverage trade around the world. Popular competitions include the London Wine Competition, the USA Trade Tasting in New York City, and the International Bulk Wine & Spirits Show in San Francisco. www.BeverageTradeNetwork.com. Liz Palmer, basée à Toronto, figure sur la liste des “Meilleurs Influenceurs du Vin en 2019 auxquels vous devez prêter attention”. TORONTO, le 18 fév. 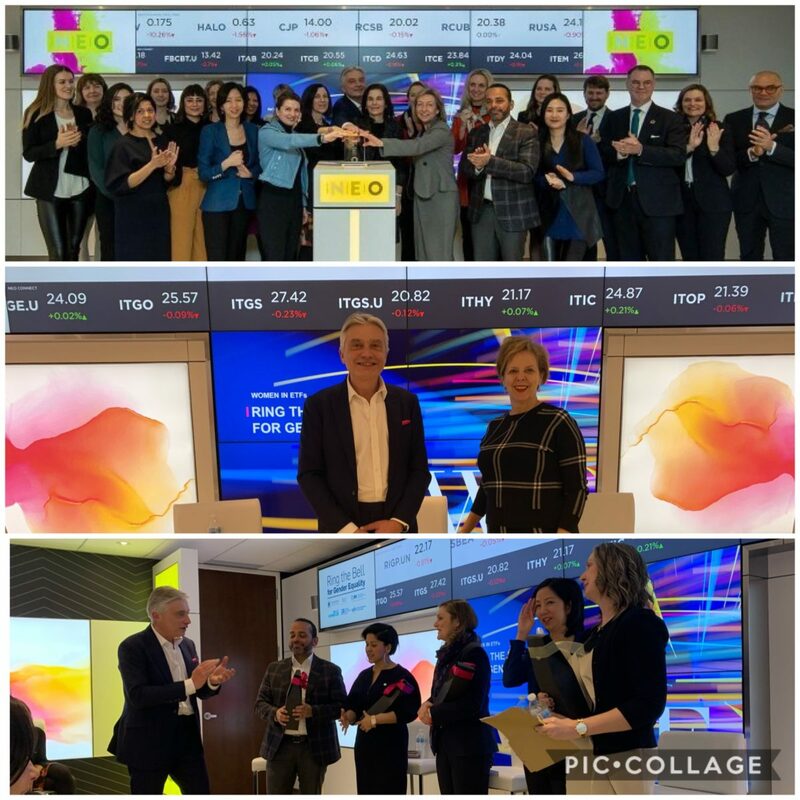 2019 /CNW/ – – Sommeliers Choice Awards et Beverage Trade Network ont récemment annoncé leur liste des meilleurs influenceurs du vin pour 2019. Le jury de prestige comprend 45 sommeliers, acheteurs de vin et directeurs de vin américains de premier plan. ” Cette distinction me pousse à travailler plus dur afin d’aider mes clients et de leur apporter une reconnaissance mondiale… Je suis également ravie et satisfaite du travail accompli par UPSocial Wine and Spirits Agency, qui soutient les marques internationales de vins et spiritueux en matière de communication, de marketing numérique et de stratégie marketing, et qui contribue à l’impact de leurs efforts de promotion et à leur notoriété ” Liz Palmer, Fondateur de la UPSocial Wine and Spirits Agency. D’autres influenceurs mondiaux du vin figurent sur la liste : The Wine Wankers, Jancis Robinson, Julien Miquel, Jon Thorsen, Jessica Altieri, Kelly Mitchell, Jeff Kralik, Tim Atkin, Julie Brosterman, Jamie Goode, Luiz Alberto, Joey Casco, Alder Yarrow, Cathrine Todd, Michelle Williams, Marilena Barbera, Meg Maker, Dusan Jelic et Katherine Cole. Liz Palmer est une rédactrice primée, journaliste spécialisée dans le vin, juge du vin, influenceuse et fondatrice d’Upsocial Wine & Spirits Agency (une agence de marketing numérique et influenceuse), basée à Toronto et à Londres au Royaume-Uni. Elle a récemment été désignée parmi le ” Top 20 ” des influenceurs de pouvoir des médias sociaux sur les vins et spiritueux en 2019. Liz est également classée dans le Top 1% de l’ISS de l’industrie – LinkedIn et a récemment fait partie d’un panel du George Brown College Wine Symposium qui portait sur les communications et tendances mondiales du vin. En 2018 et 2019, elle s’est associée au Consul de France à Toronto pour des événements de vins et spiritueux et du marketing. Depuis 2017, elle travaille en partenariat avec le groupe Cision/CNW. 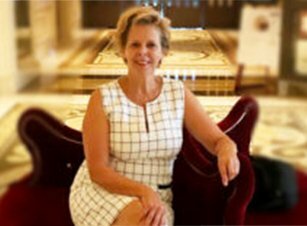 Liz Palmer est également la présidente fondatrice de la section ontarienne de Les Dames Escoffier et a également été nommée Dame Chevalier de l’Ordre des Coteaux de Champagne lors d’une cérémonie officielle à Paris en 2017. C’est une agence de marketing numérique basée à Toronto, au Canada, l’un des principaux centres d’innovation technologique au monde. UPSocial Wine & Spirits Agency est spécialisée dans le marketing digital et influenceur pour les marques mondiales de vins et spiritueux. Ils se concentrent sur la création de stratégies de marque de médias sociaux, le marketing de contenu numérique et les relations avec les influenceurs, en s’appuyant sur des mesures et des analyses dans le but de générer des résultats commerciaux. Ils sont totalement dédiés à suivre les changements innovants dans le monde du marketing numérique et adoptent une approche proactive pour faire progresser les campagnes de nos clients. Liz Palmer est la fondatrice et membre de l’équipe de stratégie. Beverage Trade Network accueille et organise des concours, des événements, des foires commerciales, des expositions et des dégustations pour le commerce des boissons alcoolisées dans le monde entier. Parmi les concours les plus populaires, citons le London Wine Competition, le USA Trade Tasting à New York et l’International Bulk Wine & Spirits Show à San Francisco. www.BeverageTradeNetwork.com. These are the new critics. Find the influencer that has got the attention of your customer demographic and you have a chance. That’s our no # 1 marketing tip for wineries to double down on. Here is a list of top wine influencers that have a good loyal following on Instagram & Twitter. The Wine Wankers are the Sydney based bloggers who love talking about wine through social media. Their central theme of writing is usually humour. According to the urban dictionary, the definition of wine wanker is “somebody who drinks wine pretentiously in the company of others to show off their knowledge and try to make other people feel inferior.” Conrad & Drew, owners of Wine Wankers spend a lot of time travelling the wine world thus having a large international base. Jancis Robinson is one of the top wine influencers and the editor of the book The Oxford Companion to Wine. She is also a wine judge & a reviewer. She travels all over the world to explore different wines and talks about them on her website and social media platforms. Julien Miquel has more than 10 years of experience in winemaking. His current project is the Social Vignerons website on which he shares various content of the world of wine like interviews, wine & food pairings, infographics, etc. In 2015, it was awarded as the Best New Wine Blog by the Wine Blogs Awards. Jon Thorsen aka The Reverse Wine Snob is a wine enthusiast with an open mind and a reasonable budget. This wine blogger is focused on everyday wine drinkers that buy wine for relaxed enjoyment. He had the opportunity to travel to various wine regions like California, Spain, Italy, France, Virginia, Argentina, and Slovenia. Jessica Altieri is certified as a Water Sommelier and the host of “Wine Conversations with Jessica Altieri” on the revolVer Podcast platform. She helps wine brands, wine PR firms, and wine lifestyle brands position their products in front of targeted audiences to promote engagement, brand awareness, and sales by creating dynamic social media lifestyle campaigns as well as live events and promotions. She works with Winemakers, Retail Executives, Marketing & PR Executives and also with Wine lifestyle partners- hotels, fashion & travel. Kelly Mitchell is an award-winning Napa Valley Journalist who loves to explore scores of wine varietals across the globe. She runs her own website The Wine Siren where she shares the stories of wine creators, farmers, winemakers & artisans. She travels a lot and gains more knowledge wine-making techniques and varietals. Jeff Kralik started the blog the drunken cyclist in 2012. During summer, he used to explore various wine regions like the Loire Valley, Burgundy, Provence, Alsace, Bordeaux, the Dordogne, the Jura, and Champagne. He was fascinated by history, culture, tradition & stories of the producers. His blogs feature wineries, recipes, details of retailers, and various other fun articles. Tim Atkin is a UK based wine writer having more than 33 years of experience in the wine industry. He is also one of the top Master of Wine & Wine Critic in the world. He travels the world to visit various wine regions and meet producers of wine to gain insights about the wine-growing areas of their country. Along with writing for his own website, he also writes for various magazines like Harpers, Decanter, Gourmet Traveller Wine, Jamie Magazine and Imbibe. Julie Brosterman is the co-founder of Women & Wine Team. They create dynamic content/ promos/ events & social media strategy to reach a large audience base. They have their own Color of Wine App on which they share various content related to wine. Jamie Goode is a London-based wine critic, blogger, author and columnist having a background in Ph.D. in plant biology. He launched his website wineaorak.com which shares various content like food & wine, wine travel, photographs, book reviews, tasting notes, etc. Luiz Alberto is a Boston based blogger & the founder of the editorial Wine Hub. He judges international wine competitions and uses social media to share his passion for wine. The Wine Hub features various content related to Wine & Food, Wine Tasting, etc. It has also various blogs related to wines. Joey Casco has a website TheWineStalker.net on which he writes contents like educational long reads, smaller post, original memes, recipes & a lot of wine reviews. Except for blogging Joey also loves teaching people about wine. One day he wishes to be a wine educator. Alder Yarrow is a California based US wine & restaurant blogger. His wine blog Vinography is one of the highly famous websites. It has various content which features Wine Reviews, Restaurant reviews, Book reviews, Wine news, images, etc. He is considered one of the top 20 influencers on social media. Cathrine Todd is a New York-based wine blogger who runs her wine blog called Dame Wine. She is a WSET Diploma graduate and now a freelancer. Earlier she spent many years selling various wines from around the world in the Manhattan market. She likes to travel to lots of interesting food/wine destinations as often as possible. Michelle Williams is a Texas-based freelance writer & is a WSET Level 3 Advanced certified. She has her own wine blog website called the Rocking Red Blog. She writes about wine, food & travel. Most of her work appears in Snooth, The Daily Meal, USA Today’s 10Best Eat Sip Trip, Basil & Salt Magazine, Food Wine Travel Magazine, Plano Profile Magazine & Casa Life Magazine. She is considered one of the top 15 most influential person in wine. She travels globally to experience wine regions in the first hand. 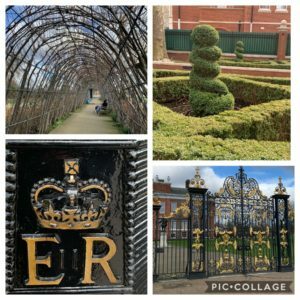 Liz Palmer is Toronto and London UK based award-winning author, wine journalist & founder of Upsocial Wine & Spirits Agency (a digital and influencer marketing agency). Her articles have appeared in the top magazines like Forbes, Huffington Post, China Wine News, Wine Picker Magazine, and more. She is also an international wine judge. In 2017, she was also appointed Dame Chevalier de L’Ordre des Coteaux de Champagne in an official ceremony in Paris. Marilena Barbera is a winegrower who is based in Sicily. She pursued her law degree from international law in Florence & her masters in tax & financial planning in Verona. She fell in love with winemaking while she was working at her family business, Cantine Barbera. She is fond of travelling. 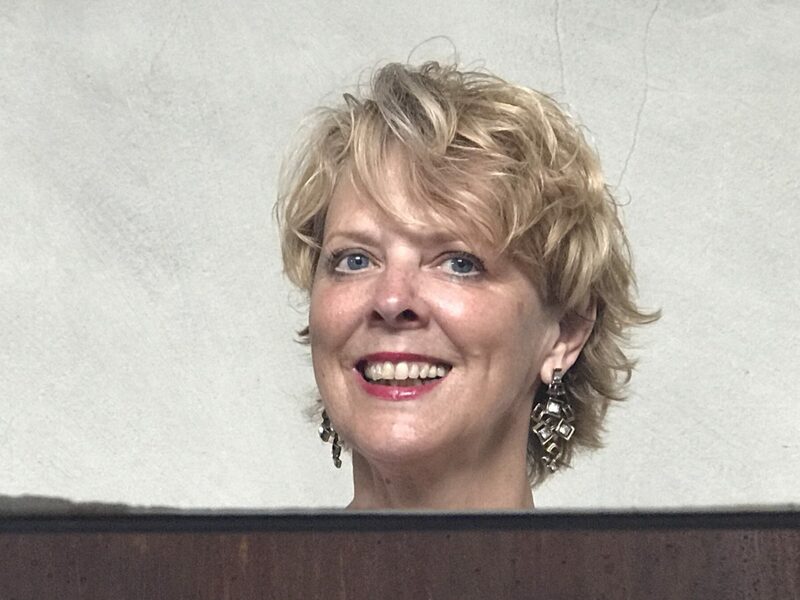 Meg Maker launched Terroir Review, a journal about nature, culture, food, wine & place. This journal features writing, wine reviews, other writers, photographers, and artists—to share their perspective and expertise. Meg travels extensively to taste with producers & hear their stories. Her work has been appreciated in The New York Times, Daily Beast, Brain Pickings, BuzzFeed & more. Dusan Jelic owns Wines of Balkan, a digital wine marketing company which share relevant vinous information and connect wine lovers from all over the world. The ultimate goal is to turn wines of Balkans into a strong regional brand, genuinely respected in the world of wine lovers of all colours and from all walks of life.